One sec, lemme just wipe the dust off my blogging keyboard. Ok, sorry! Uni has been manic, the weather's been bloody miserable and I've been seriously lacking in the motivation department of late. But now Halloween is over, I can see Christmas on the horizon - and all is well again! We may or may not have put the Christmas tree up last night... is that a sin? On a not-so-Christmassy note, however, whilst up to my neck in uni work I stumbled across these photos from London in August would ya believe. (Anyone else feel like Summer was a bloody lifetime ago now? I'm struggling to remember what the world looked like without rain.) 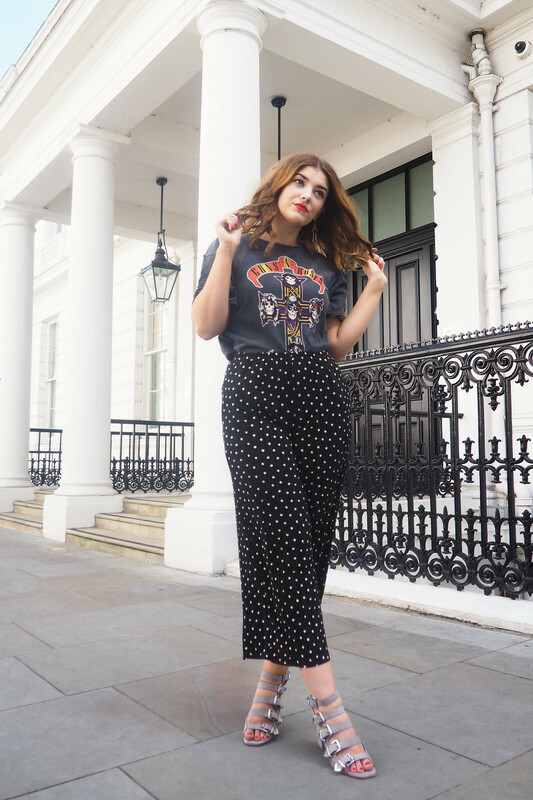 I was totally obsessed with this look when I put it together, as you well and truly know by now I'm all about mixing and matching trends. 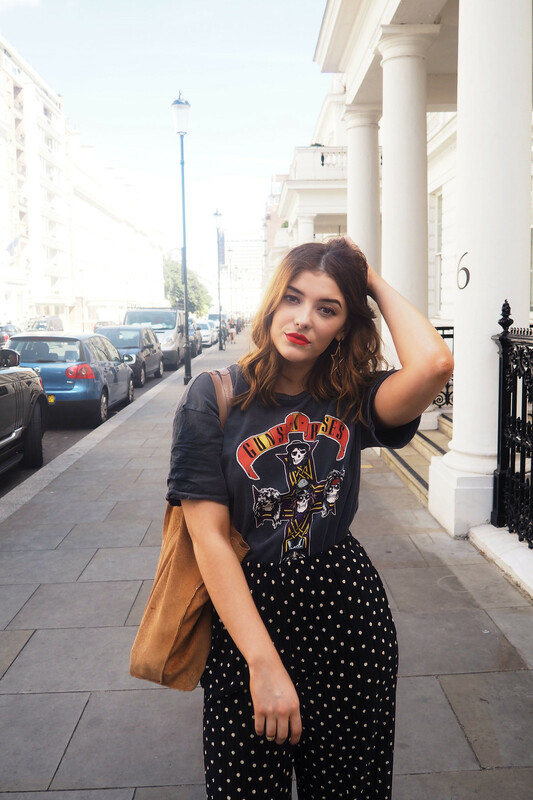 The band tee is clearly staying for the rest of 2016, and this grey Guns'n'Roses tee worked perfectly in toughening up my ditsy polka dot trousers... are you sick of those yet? Anyway, enough of my rambling, enjoy the pics and I'll be back to posting regularly as soon as possible, hopefully with some more Winter outfits, 'cos I'm not sure how appropriate this look is for when it's -2 degrees outside.